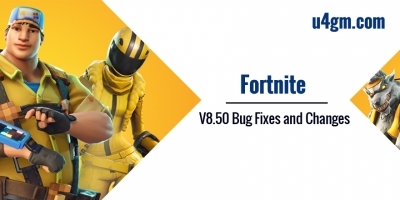 The newest Fortnite v8.30 patch brought with a Reboot Van item to players to allow you respawn your teammates, which is similar to the respawn stations in Apex Legends. 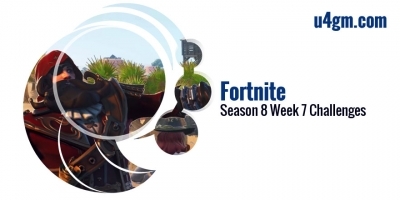 And then a new set of weekly challenges arrived in Fortnite battle royale as usual. I've been having a winning streak with all the challenges so far. 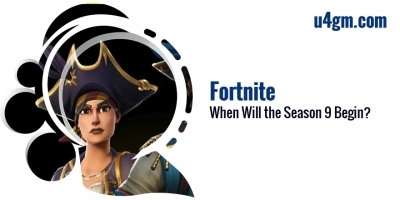 I've enjoyed the pirate theme this season. 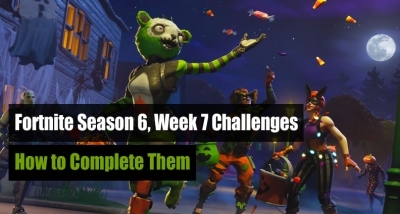 Week 7 challenges will task players with doing simple tasks, so you don't have to worry that the challenge will bring you too much trouble. 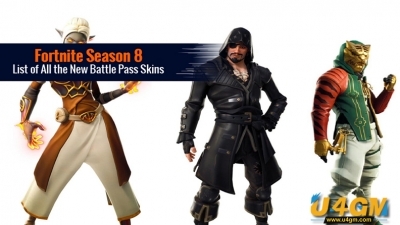 All players have three new challenges, in week 7, and those who own the paid season 8 Battle Pass will receive four more. 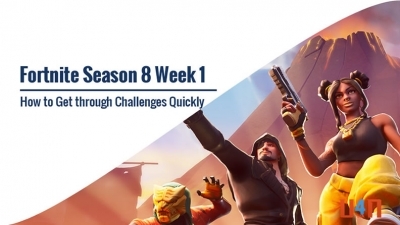 Starting today, players can complete these challenges in any standard or Limited Time mode that includes competitive modes like Arena and Big Team mode with respawning enabled like Team Rumble. 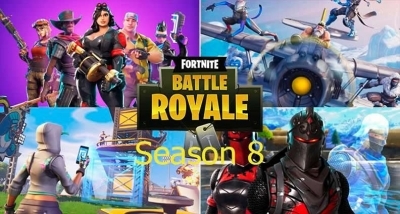 Playground is the only mode that does not allow you to progress. On the west side of Lazy Lagoon water. In the southwestern part of the volcano base. Abandoned house in the southwest of Pleasant Park. 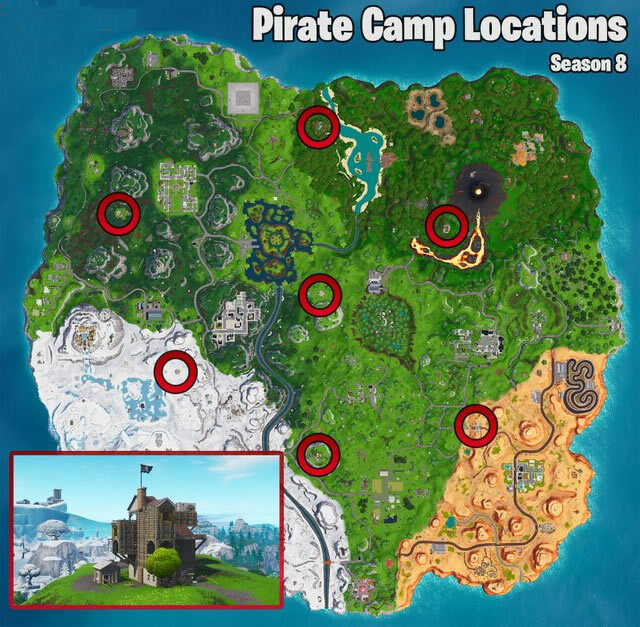 In the snow biome, the old Greasy Grove (frozen lake) in the northeast. On the top of the hill southwest of Salty Springs. On the bridge connecting the desert biome and the normal map, south of Retail Row. Abandoned house between Loot Lake and Dusty Divot. There are no planes, so this will be a bit tricky! To avoid other players, try to take longer, less direct routes, such as moving along the furthest hillside. Look for vehicles like the Driftboard or the new Baller to quickly get from one place to another. 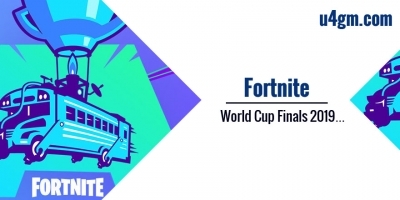 Stage 2 of the challenge is to visit Pleasant Park and Dusty Divot, and stage 3 is Happy Hamlet and Snobby Shores. We have seen this challenge many times before so that you may have found your strategy now. Work with other players and wait for an ambush opportunity. Respawning is now a bigger deal in Fortnite, and you may be fortunate enough and stumble upon downed enemies or someone who focused on rescuing teammates so much that they can't see you carrying your Pickaxe. Take out five enemies, each at a different named location. Landing in crowded areas of the map, you will be able to pick these up naturally. 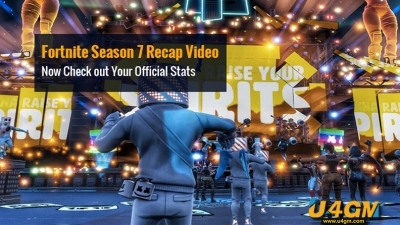 This is not challenging and can be cleared by Snobby in several good runs. Try to look in the back yards and garage of the house, hovering over Loot Lake over the area, and when you dropped in, you should be able to find any unopened chests. Get stockpiling resources. Once you have a lot of material, start building and go up and give yourself a good vantage point. As you are elevated, start shooting at the people around you. 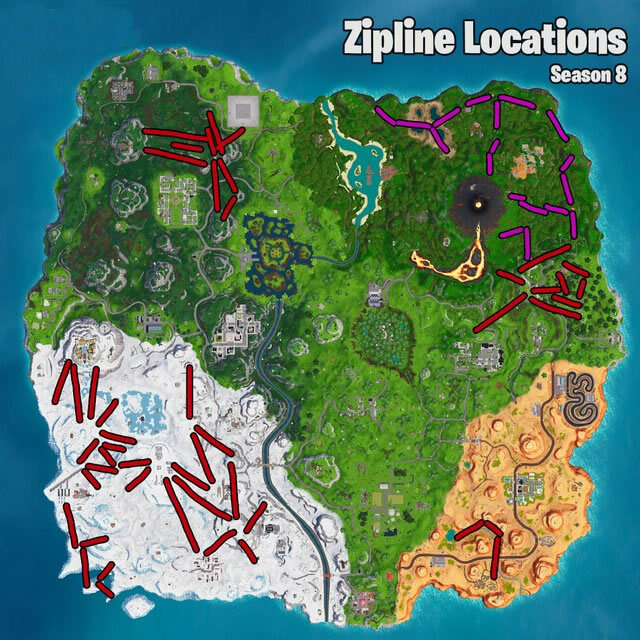 If you feel particularly spicy, you can do this in densely populated areas or even around ziplines to catch players who are trying to complete another challenge. The ziplines on the island are abundant, so what difficult here is actually getting on one and then landing shots. I expect many players to gather around the ziplines. It is well known that they will not just line up and let every one turn to them. Prepare to protect yourself when trying to get on the zipline. When you manage to use a zipline, try using a weapon that spits out bullets quickly, as this will give you a chance to hit another player.